Graham jerked 285lbs immediately after winning Event 2a. Life, and CrossFit, often require people to lift heavy loads while under tremendous fatigue. Most people do their strength training while they are fresh, however. 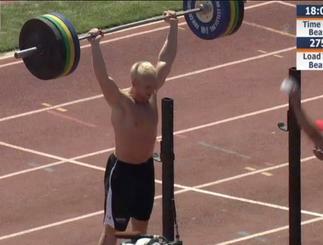 Graham Holmberg took a different approach in his preparation for the 2010 Games, and this method of training may have been partially responsible for his victory. 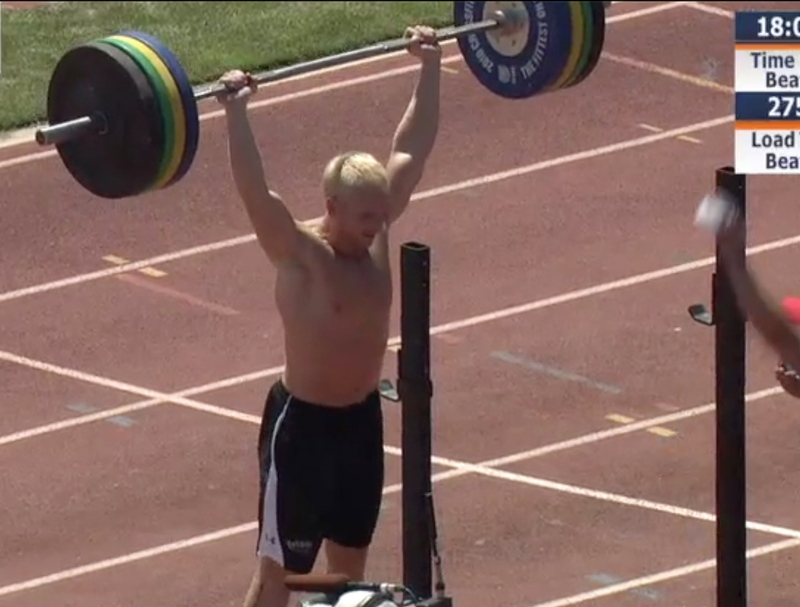 Based on his previous experience in the 2009 Games, Graham focused on developing his conditioning in preparation for 2010. This doesn't mean that he simply focused on the traditional staples of running and rowing. Graham incorporated his conditioning training into his strength training, blurring the distinction between the two disciplines. While it is one thing to be able to lift heavy weights without fatigue, lifting after strenuous exercise requires a different kind of strength. In this video, the champ talks about how he frequently made sure to lift heavy while already out of breath.